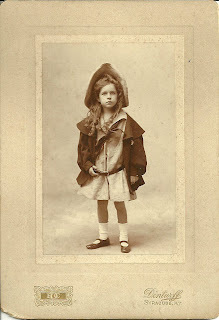 Dramatic photograph of young Mary Truesdell Hering, born in 1898 in Philadelphia, Pennsylvania, to parents Carl Otto and Harriet (Truesdell) Hering. The photograph was taken by Dinturff, Syracuse, New York. Mary married Arthur Carl Alvarez and lived in California, where she died in 1991. 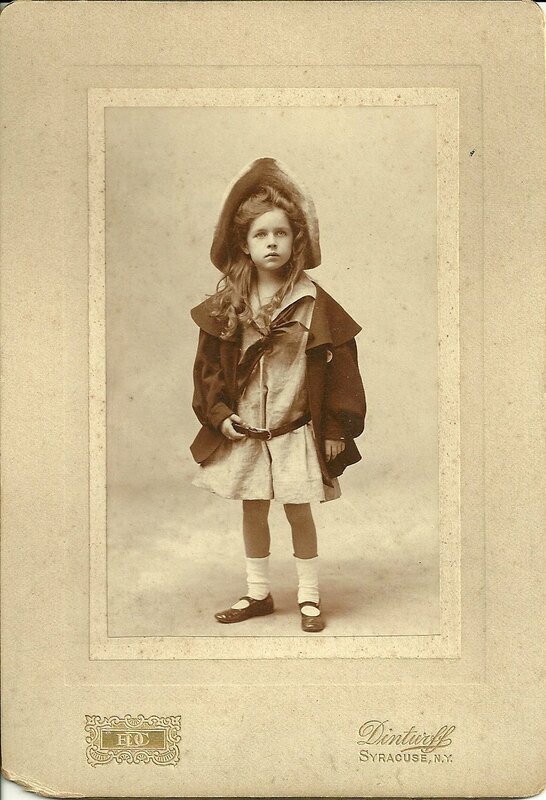 This is one of my all-time favorite children's photographs. Mary looks as though she could tackle anything life threw in her path. Neat! You are apparently the person who has been in touch with "J.D." - very exciting!